On March 4, 1815, Myrtilla Miner was born in North Brookfield, NY. She was one of 13 children in a poor farming family. Often in ill health, she found comfort in reading and studying. With great persistence and financial difficulty, she graduated from the Young Ladies Domestic Seminary with a teaching degree. She taught in Rochester, NY and Providence, R.I., before accepting a position in the late 1840s in Whitesville, Mississippi. There she taught at a school for the daughters of plantation owners. There, too, she saw the desperate conditions under which slaves lived. An educator to her core, she naively asked the slave owners if she could start a school to teach the slave girls to read. 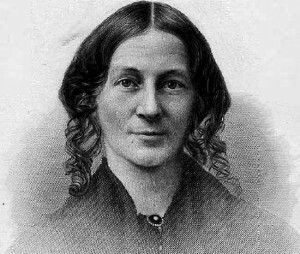 Myrtilla Miner did not realize that such a benefit was against the law. Sickness sent her back home to New York, but in 1851 with the encouragement of the Reverend Henry Ward Beecher (abolitionist known for his “Beecher Bibles” (guns) that he sent to Kansas abolitionists) and a contribution from a Quaker philanthropist, Miner opened The Colored Girls School in Washington, D.C.
Enrollment grew with the help of continued Quaker contributions as well as a $1000 contribution from Harriet Beecher Stow (the daughter of the Reverend) from her Uncle Tom’s Cabin royalties. The school offered primary schooling and classes in domestic skills, but its emphasis was always on training teachers. By 1858 six former students were teaching in schools of their own. The school closed during the Civil War and Miner moved to California because of poor health. She suffered a carriage accident in 1864 and died on December 17, 1864 shortly after her return to Washington, D.C. 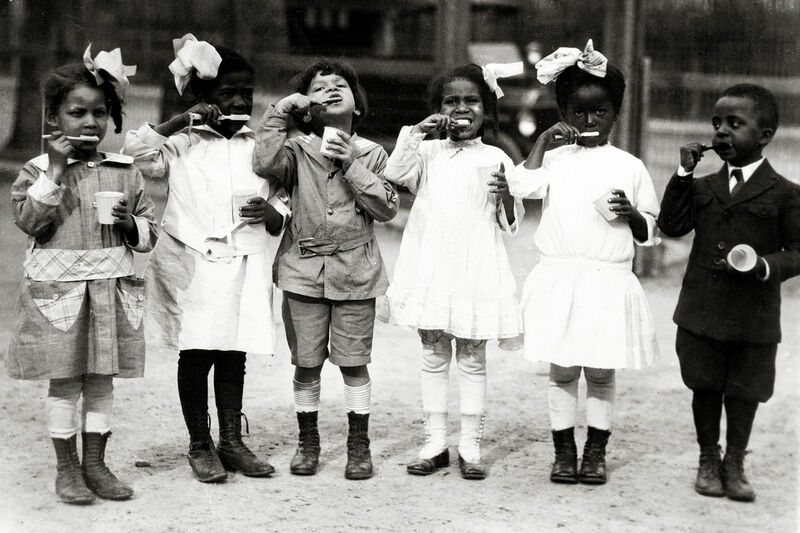 The Civil War ended and the school reopened as the Institution for the Education of Colored Youth. From 1871 to 1876 it was associated with Howard University. In 1879, as Miner Normal School, it became part of the District of Columbia public school system. Similarly, Washington Normal School (later Wilson Teachers College) was established in 1873, as a school for white girls. In 1929, Congress converted both schools into four-year teachers colleges. In 1955, after the US Supreme Court decision of Brown v. Board of Education, the two colleges merged to form the District of Columbia Teachers College. It’s never too late to learn something new. Today we will start with a matching quiz. In the left column are the names of five outstanding women who are in the 2017 class of the National Women’s Hall of Fame. In the right column are brief descriptions of their specific accomplishments, but the rows do not match. Try to match the name with the correct accomplishment? I will show the answers at the end. called the “Mother of American Food,” Ms. Waters has been a champion of local sustainable agriculture for over four decades, and is credited with popularizing the organic food movement. In 1995 she founded the Edible Schoolyard Project, which advocates for a free school lunch for all children and a sustainable food curriculum in every public school. 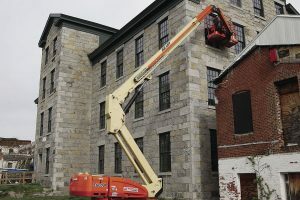 animal sciences innovator and champion of farm animal welfare whose masterly designs for livestock handling systems transformed the industry and are used worldwide today. has helped create a global community of patients, advocates, and healthcare stakeholders, with significant positive impact on the treatment of autoimmune and related diseases. 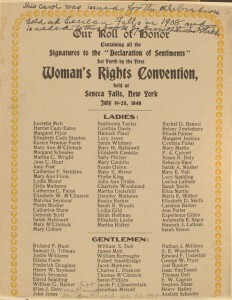 A group of men and women founded the National Women’s Hall of Fame on February 20, 1969 in Seneca Falls, New York. 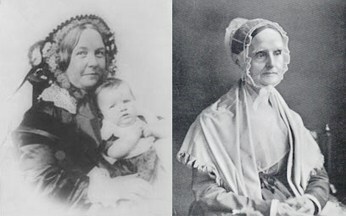 where Elizabeth Cady Stanton and Lucretia Mott, two renowned leaders of the US suffragette movement, organized the first Women’s Right Convention at Seneca Falls in 1848. 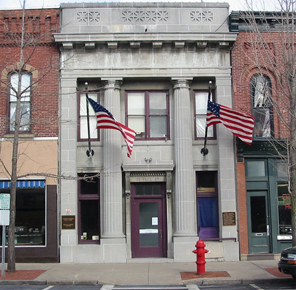 The Helen Mosher Barben Building in the Historic District of Seneca Falls, New York. 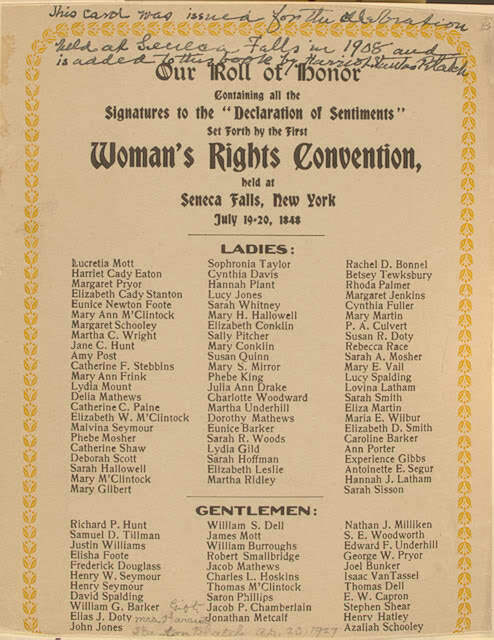 According to its site, “In 1969, the women and men of Seneca Falls created the National Women’s Hall of Fame, believing that the contributions of American women deserved a permanent home in the small village where the fight for women’s rights began. The Hall is currently housed in the Helen Mosher Barben Building, in the heart of the downtown Historic District. Temple Grandid animal sciences innovator and champion of farm animal welfare whose masterly designs for livestock handling systems transformed the industry and are used worldwide today. When people speak of “the 60s” they are typically speaking of the individuals and groups who marked that often counter-cultural decade: Martin Luther King, Jr. JFK. The Beatles. Bob Dylan. Malcolm X. Muhammad Ali. Vietnam War. LBJ. Nixon. Black Panthers. Peace movement. Woodstock. NOW. Stonewall. And if one had to pick one year of the 60s that was more 60-ish than any other, 1968 would be high on the list. The Tet Offensive in January. The publication of ” Soul on Ice” by Eldridge Cleaver in February. My Lai Massacre in March. King assassination in April. Poor People’s Campaign in May. Robert Kennedy assassination in June. American Indian Movement founded in July. Riots during Democratic Convention in Chicago in August. 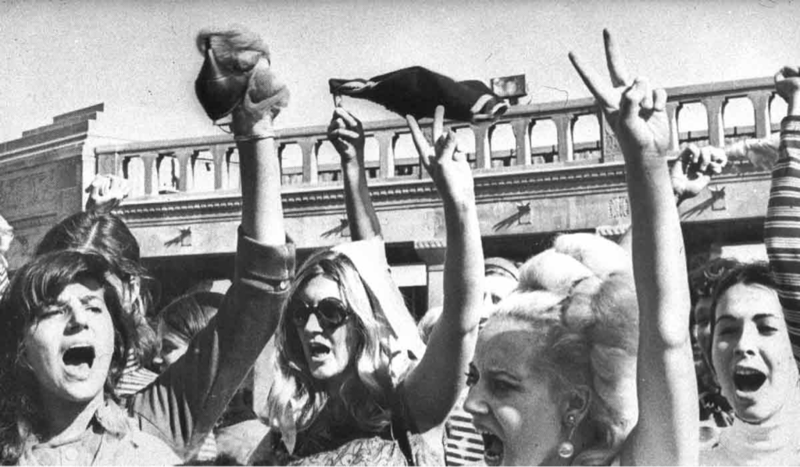 Miss America protest in September. Tommie Smith and John Carlos protest at Olympics during medal ceremony in October. Shirley Chisholm first Black woman elected to Congress in November. And in December, Apollo 8 completed the first manned orbit of the moon. A pretty good representation of “those” 60s. 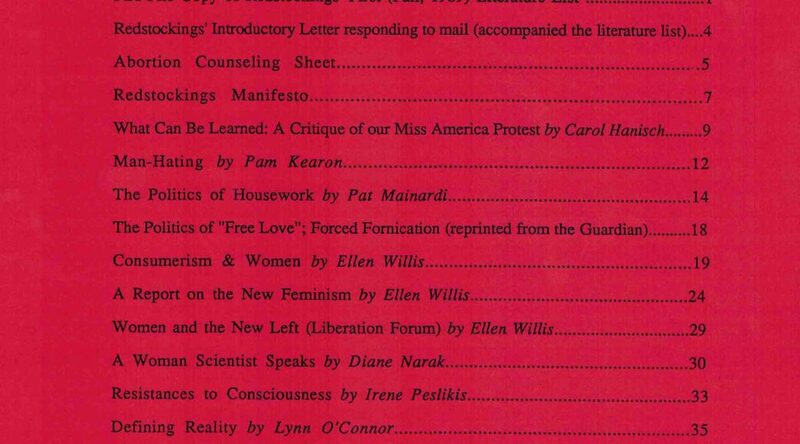 On January 31, 1969, Ellen Willis and Shulamith Firestone formed the group Redstockings after the breakup of New York Radical Women. 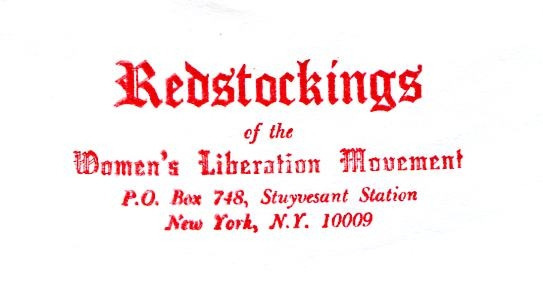 According to their site, “Redstockings” was a name taken in 1969 …to represent the union of two traditions: the “bluestocking” label disparagingly pinned on feminists of earlier centuries–and “red” for revolution. 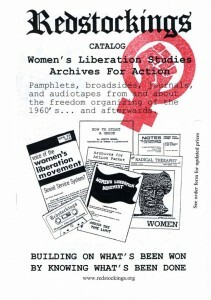 After centuries of individual and preliminary political struggle, women are uniting to achieve their final liberation from male supremacy. 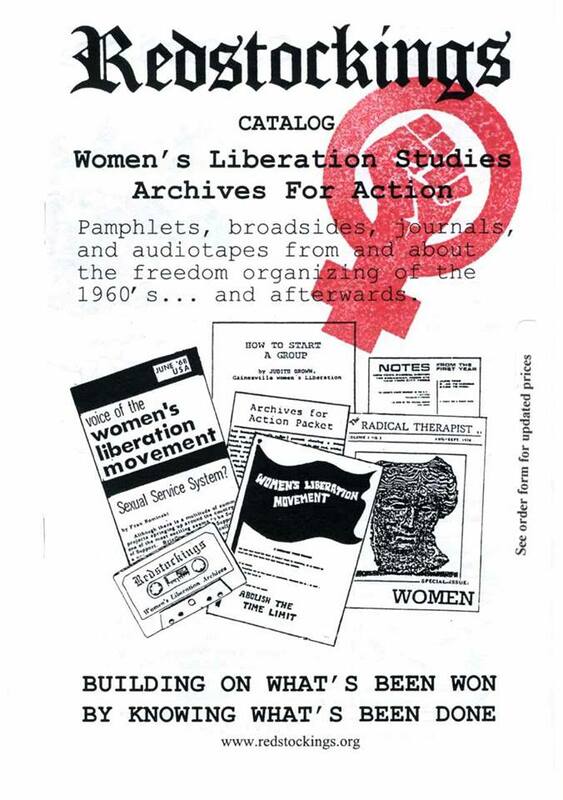 Redstockings is dedicated to building this unity and winning our freedom. 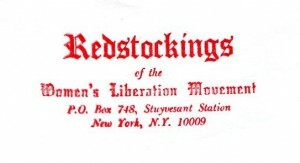 I had never heard of Redstockings, which is likely my own indictment. Perhaps you have not either.